Construction, architecture and engineering projects are complex undertakings, involving a temporary grouping of people and companies, with different agendas and experience, coming together to achieve a project goal. 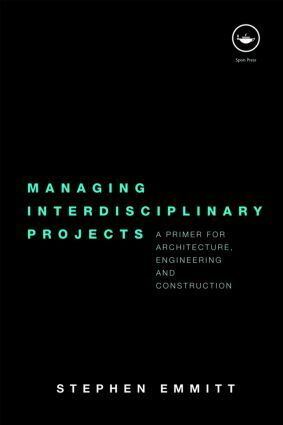 This book investigates the dynamics of the relationships between individuals involved in architecture, engineering and construction projects. It combines a structured theoretical framework, derived from social psychology and mainstream management theory, with case studies and research from the built environment sector. Focusing on how people interact, communicate and work together, it examines how best to manage the interdisciplinary relationships that form and reform during the project life cycle. The book covers vital areas of project management, whose importance has recently come to be recognized, and will be valuable for students at both undergraduate and graduate level. Practitioners will also find it a useful insight into the social aspect of project management, with implications and applications that apply to all projects in the built environment sector.